Warm lighting and inviting decor that melts away your stress and worry. 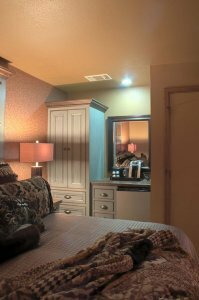 Enjoy luxurious surroundings and comfort with all the conveniences you need to make your stay enjoyable. 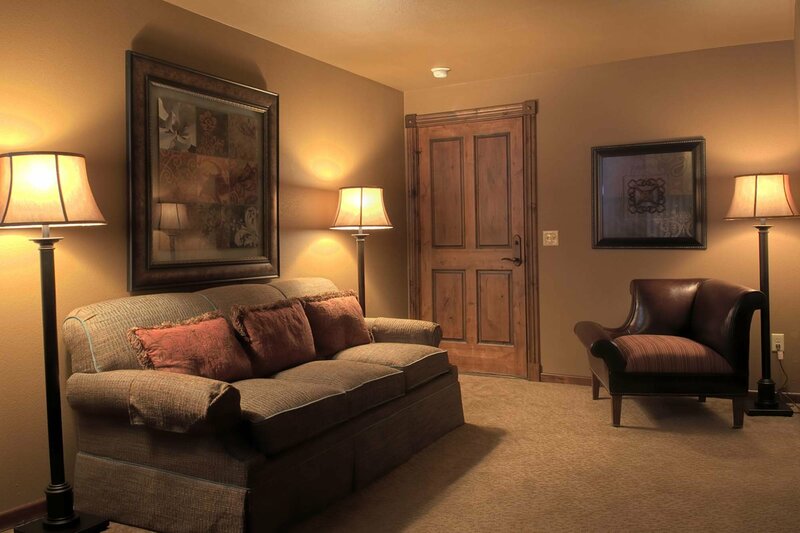 The Sapphire Suite has warm lighting and inviting decor that melts away your accumulated stress and worry. True to its name, the corner Jacuzzi in the bathroom has custom, glass tile work of cool blue crossing the wall in a soothing pattern. Enjoy the sofa and the available space for lounging, or head to your king-size bed, turned out in luxurious bedding, that waits to embrace you. A queen-sized sleeper is also provided. 37-inch flat screen TV with Cable.